Businesses that allow employees to use their own devices at work under BYOD schemes face challenges blocking threats from those devices. They lack visibility and often struggle to control mobile traffic. Wireless networks are becoming more popular in business environments and industry experts predict the popularity of wireless networks will continue to grow. Ultimately, wireless networks will dominate wired networks in enterprises. However, wireless networks pose security risks and security protections must be implemented to identity and block threats. Fortinet has now developed a solution that will improve both visibility and threat protection on wireless networks, especially for personally owned mobile devices used at work under BYOD schemes. The FortiGuard Mobile Security Service offers mobile malware protection and mobile application control for all Apple IOS and Android devices that connect to wireless networks. The FortiGuard Mobile Security Service offers threat protection through Fortinet’s global threat intelligence service, which supplies threat intelligence on both current and emerging threats. Threat intelligence is provided automatically to FortiGate appliances around the clock with new threat signature updates delivered in real time. Fortinet already provides visibility and protection through the core, data center, cloud, WAN, LAN and WLAN, with the latest service applying to the latter where mobile devices connect. “Our new mobile application control and mobile malware protection service integrated into the network, and particularly WLAN, provide enterprises globally with the visibility and control they need over mobile devices to protect their corporate assets, especially in BYOD environments,” said Fortinet VP of marketing products, John Maddison. The new service is available through FortiGate integrated security appliances and can be purchased separately or included in a Full Coverage Enterprise Protection subscription bundle. The bundle includes web filtering, anti-spam, anti-virus, application control and intrusion prevention – services currently provided through the FortiGuard UTM bundle. 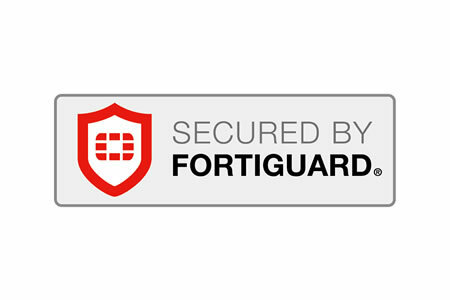 The FortiGuard Mobile Security Service will be available to customers in Q3, 2015.